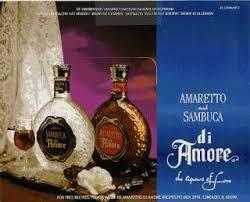 The DiAmore family offers a complete line of Italian liqueurs. Amaretto, Sambuca, Raspberry and the recently introduced Quattro Orange embody the beauty and flavors of the Italian countryside. Fine enough to sip alone or an indulgent addition to today's hottest drinks, DiAmore will bring passion to all of your cocktail occasions. The distinctive taste is said to come from a combination of ripe and un-ripe lemons. Fresh citrus zest aromas have a distinctly lemony quality. 3 bottle gift contains 1 each Amaretto, Sambuca, Raspberry Liqueur.